I LOVES a baby, me! Some very close old friends of ours had a new smalls a few weeks ago. Mmmmmm, sniff his baby head – I can’t get enough of the wee chap! Here are some pics of a mobile I made to go in his room. 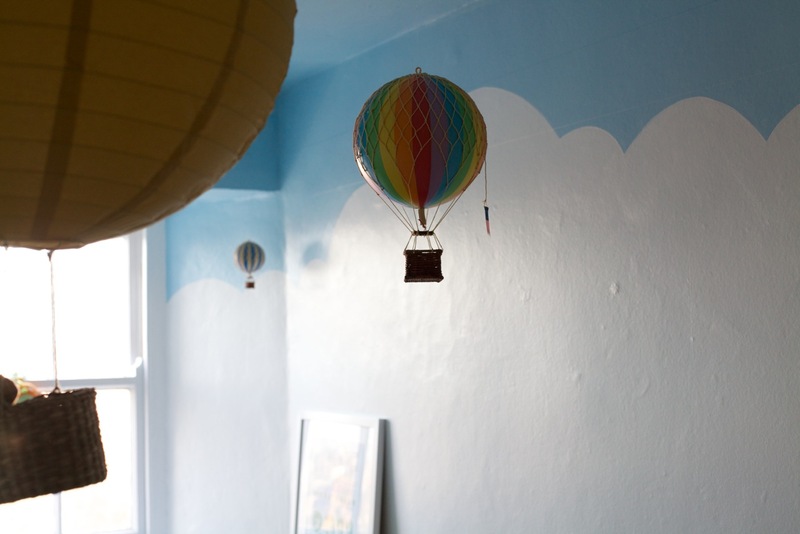 We had helped paint the walls of the nursery with clouds, so it seemed very fitting to have something like this for his mobile. 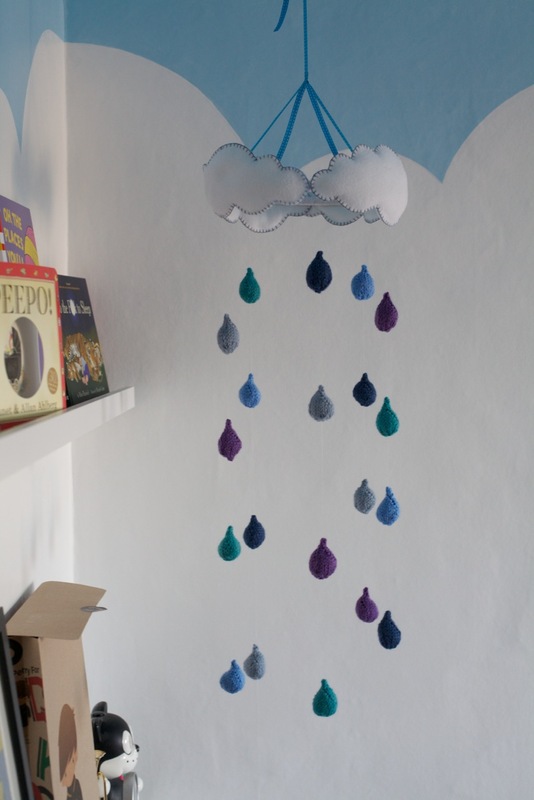 I started making the raindrops in all different rainbow colours. Then as soon as he was born and we knew he was a little man, that didn’t seem quite right and I worried that it may end up looking a bit too girly. I ended up sticking with just blues and purple, which I think was the right decision. 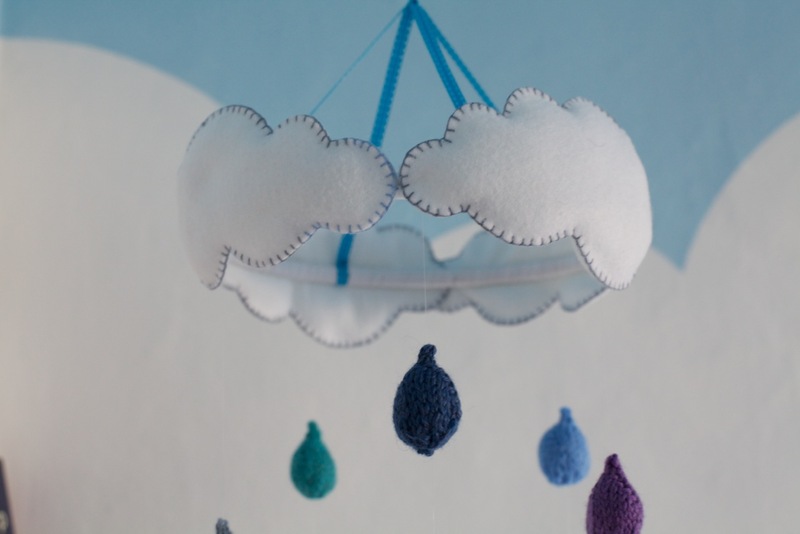 It was fun working out the knitting pattern for the droplets (only very simple, but quite enough cerebral effort for my tiny mind). I have listed the instructions for how to make them below. Cut yarn, thread through remaining stitches and secure, hiding the end in the middle of the droplet. …your best bet is to just bumble through it and hope for the best! no ways – i think i remember that book from when i was at junior school! making a necklace is an excellent idea. 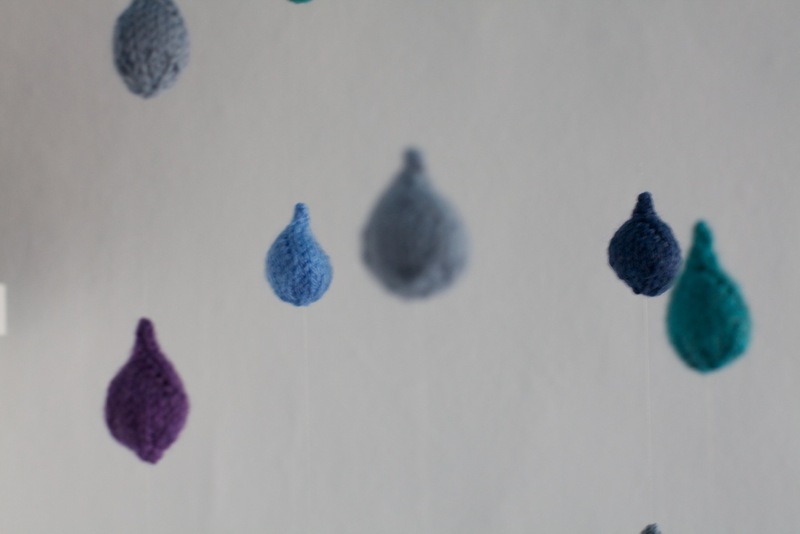 I have some spare brightly coloured droplets here if you want them (no blues!). I cannot promise that they will measure up to your exact knitting standards, mind!